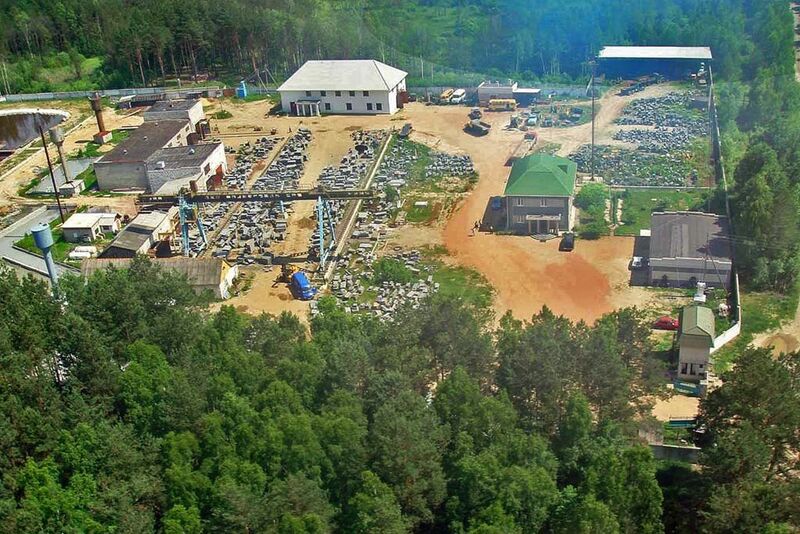 Enterprise "Polissya", founded in 1990, has many years of experience in manufacturing and supply slabs and products made from natural stone on the market of Ukraine, CIS countries and Europe. Bukivske-1 Gabbro deposit was mined in 1998. Gabbro-Gallant is considered to be the international name for the stone originating from this deposit, registered in the International Homological Register. The equipment manufactured by leading worldwide known companies such as: MARINI (Italy), PERFORA (Italy), TAMROCK (Finland) and VOLVO (Sweden), is being used for the stone quarrying. In 2007, in order to optimize the efficient use of the raw materials, the pavestone production line manufactured by TECHNO SPLIT (Italy) was brought into service. Gabbro (Italian: gabbro)is magmatic basic rock containing in approximately equal proportions: Basic Plagioclase (Labradorite, Bytownite), coloured minerals (Pyroxenes, and less common - Olivine and Amphibole), and ore minerals in slight amount. 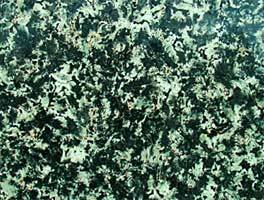 Gabbro itself consists of Plagioclase and monoclinic Pyroxene. Chemical composition: about 45—50% of silica and up to 20% of iron and magnesium oxides. Coloration is black, deep-green and some times spotted. Typical Gabbros stark at great depth are being characterized by approximately even sizes of crystals consisting from light and dark minerals; Gabbro from minor solid monoliths generally has ophitic texture (Plagioclase is represented by well formed crystals, while dark minerals fill the gaps between plagioclases). The latter are often used as high-strength structural and facing stones suitable for exterior and interior lining, principally in the form of glassed slabs. Owing to decorative and processing properties Anorthosite is considered to be suitable for manufacturing of the various glassed structural members (lining tile, windowsills, stairway details, balusters, pillars, chimney details, etc. ), as well as for manufacturing of the articles (vases, ash-trays, desk sets, various pieces, etc.) and as raw material for the funeral articles. 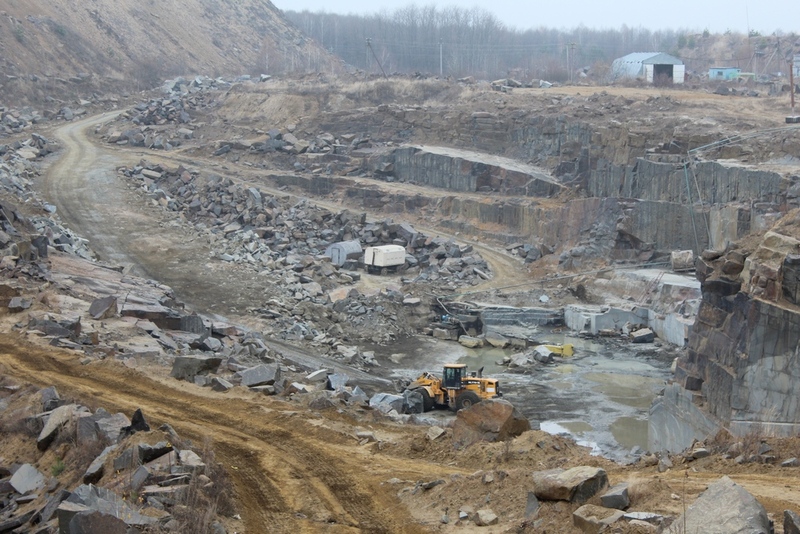 During the period from April 2003 to April 2004 Argo PSE was dealing with trial quarrying of Anorthosite at deposit Lukovetske. In the course of roadheading of the trial quarry there was quarried 135,7 m3 of unweathered anorthosite blocks. Balance reserves of block anorthosite deposit, in amount of 888.8 thousand m3, were approved by State Commission of Ukraine on Mineral Wealth on September 17th, 2004. Commercial mining of deposit Lukovetske was started in June, 2007. At present time, the annual quarry output is approximately 1000 m3 в год. 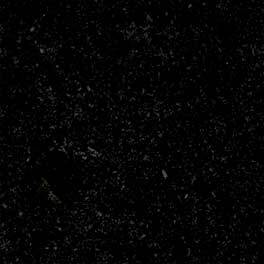 Anorthosite is considered to be the quite fastidious stone, and generally has lesser output than, for example, granite. 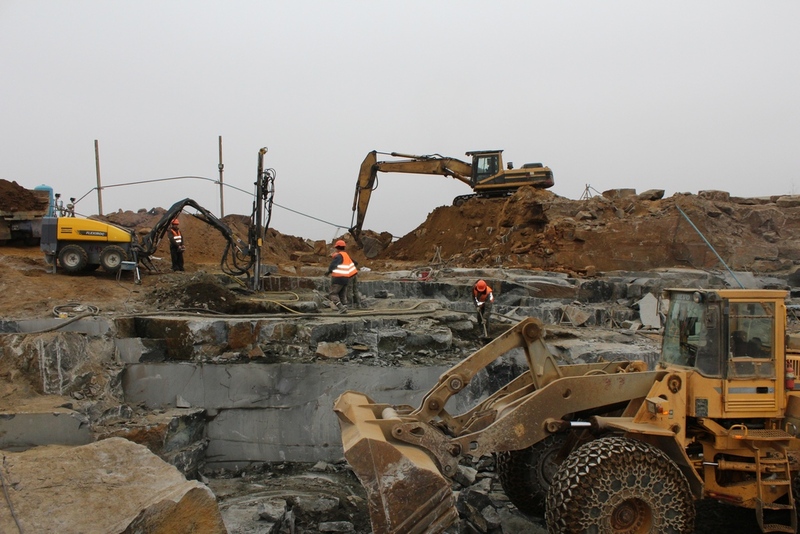 In order to provide processing companies with raw materials reqired for large area slabs manufacturing, it is necessary to make all possible efforts as to extraction of the largest anorthosite block from the bowel. Naturally, from the very beginning company Argo has been trying to avoid demolition works that, in case of Anorthosite, could result in deposit destruction. Therefore, there was made a desicion on providing of the further mining with application of up-to-date, approved by leading stone-working countries, technologies of block stone quarrying on the basis of modern mining facilities. As equipment for solid monolith sawing, the Diamond-Rope Cutting Plant GRAN FIL ELECTRONIC manufactured by Marini Quarries Group (Italy) is being used; the streak drilling skids SPHERICAL and jack drills OSM (Portugal) are being used for monoliths splitting, and nonexplosive destructive mixture (NEDM) is being used for the block passing. 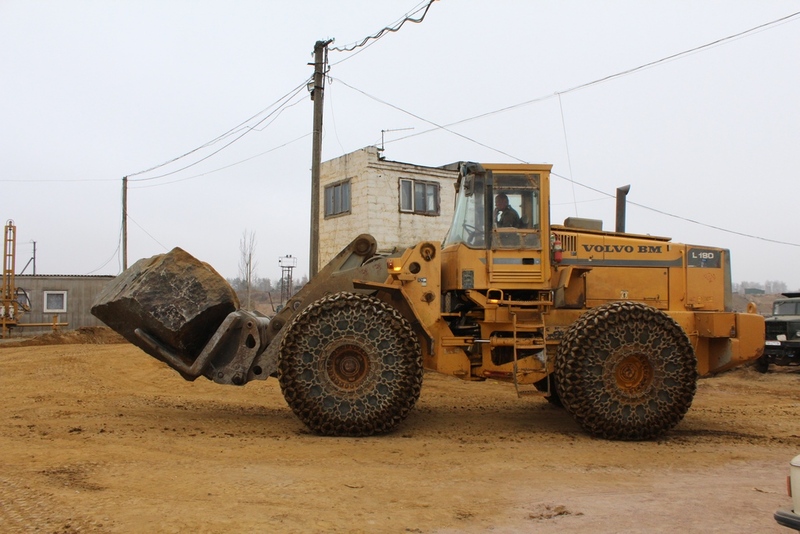 The following machines are also being used in the quarry: dredger CAT M318 (USA), front-lift loader CAT M318VOLVO L180 (Sweden), etc. In the view of decorativeness and excellent processing characteristics (radiation safety of the first class, and therefore fitness for the usage under all types of construction without any restrictions), as well as the lack of analogues, we hope our stone to be interesting for You. We are looking forward to cooperation.